In Milwaukee’s inner city, gun violence is a big concern. Even on a beautiful summer day at the Fondy Farmers Market on the city’s north side, residents have expressed fear of the crime summer nights can bring. Amanda Reed was browsing tables piled high with vegetables, greens and herbs, shopping for taco sauce ingredients with her son. She said she feels hopeless about her Milwaukee neighborhood after a spike in shootings this summer, and she’s not planning to vote in the November elections. "Places like over here are just broken," Reed said. "Milwaukee just gets the short end of the stick." Rovonne Wilson is a nursing home cook who voted for Democratic presidential nominee Hillary Clinton in 2016 but doesn’t plan to vote in November. "My biggest issues in my neighborhood is the killing, and just the resources for teens to be able to have to not be on the street, Wilson said. Longtime residents often say the root of the problem — crime and violence — is lack of jobs. "Places like over here are just broken. Milwaukee just gets the short end of the stick," said Milwaukee resident Amanda Reed. 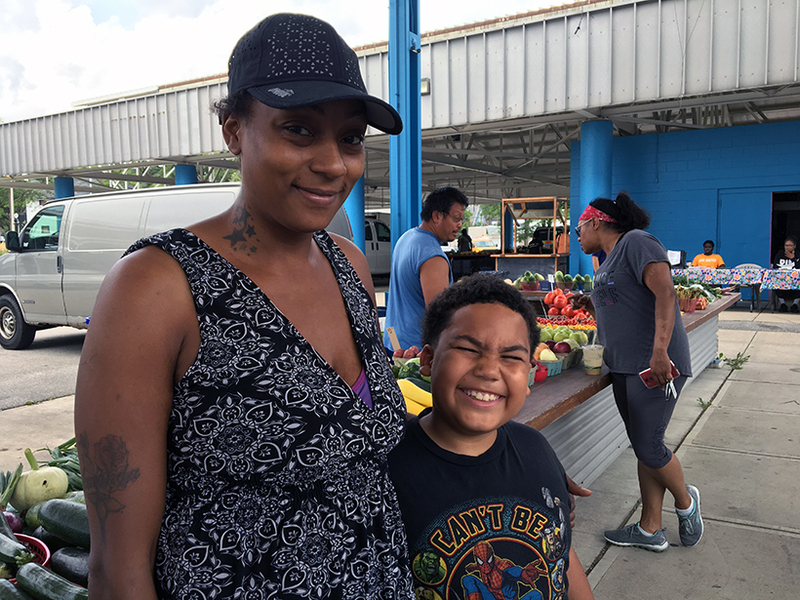 The Fondy Farmers Market is held up as a success story — an antidote to the crime and unemployment that plague one of Milwaukee’s poorest zip codes. 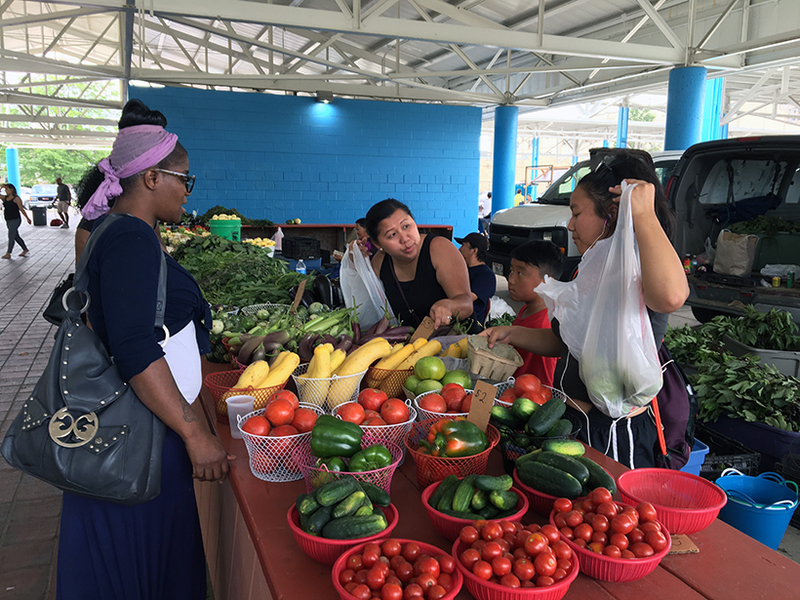 The market brings fresh vegetables and high-quality food to an area with few grocery stores, promotes good nutrition, and provides a venue for small and urban farmers. The area has in the past been considered a food desert. Ken Little works in the City of Milwaukee Department of City Development. He said small investments like the farmers’ market chip away at bigger challenges. "I’m not trying to make excuses, we need to get rid of the crime, we need to get rid of the reckless driving and those kinds of things," Little said, "But opportunity and access to employment are those things that lift a community." Milwaukee officials tried to get Amazon to locate a distribution center in the Century City development on Capitol Drive, but Amazon said it was too far from the highway. Some economic development advocates believe it’s time to forget about the major corporations and focus on small, local businesses like Good City Brewing, which did commit to Century City. "I’m not trying to make excuses, we need to get rid of the crime, we need to get rid of the reckless driving and those kinds of things. But opportunity and access to employment are those things that lift a community," said Ken Little of the City of Milwaukee Department of City Development. State Rep. Evan Goyke, D-Milwaukee, agrees with this philosophy. Goyke represents Wisconsin’s 18th Assembly District on Milwaukee’s near northwest side, and said his neighborhood doesn’t need a huge development project; it needs a grocery store. "It’s far easier to give $10 million to an existing large corporation than it is to break that up into smaller chunks," Goyke said, "But there isn’t an entity on my block of 27th Street that needs $10 million. There’s 10 businesses that need $100,000." 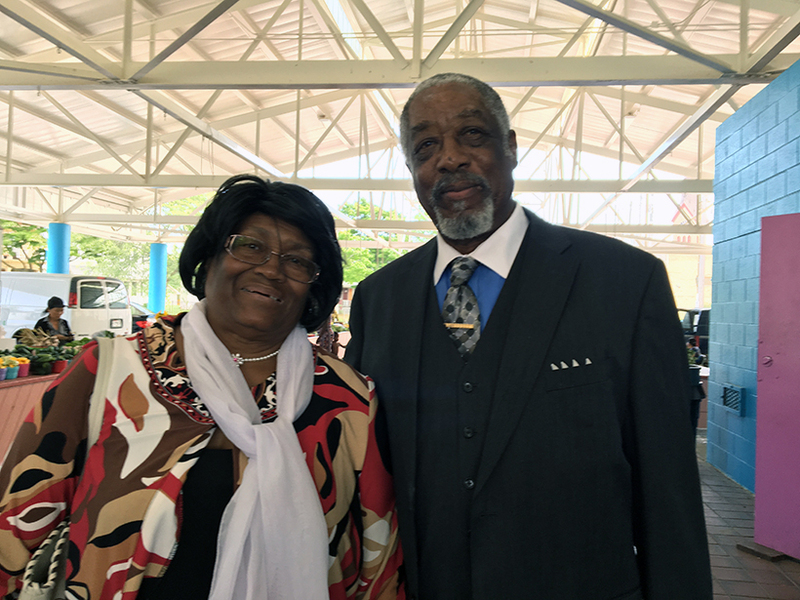 Helen and James Perkins are retired now, but for years James worked in construction and Helen ran a Milwaukee day care. Now they see investment in flashy projects like Foxconn and the state-of-the-art Bucks arena, but they don’t see politicians investing enough in local businesses. "The inner city do need some help," Helen Perkins said. "There’s no building up. Building up is everywhere else but in the inner city." The couple lives on the city's northwest side and never misses an election, and they said they’ll be voting in November for candidates who support small businesses and homeowners in Milwaukee’s core neighborhoods.